Country music star and native Oklahoman Blake Shelton has joined the board of directors of the new Oklahoma Wildlife Conservation Foundation. 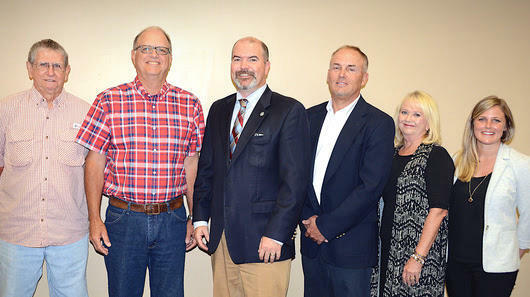 His board membership was approved Tuesday during the regular September meeting of the Oklahoma Wildlife Conservation Commission. Shelton was approached by Wildlife Department Director J.D. Strong to gauge his interest in supporting the new charitable entity that will help provide additional support for the Oklahoma Department of Wildlife Conservationand its activities in managing the state’s fish and wildlife resources and habitat. "When I was 10, my dad took me out in the woods deer hunting with him, and it changed my life forever," Shelton said. 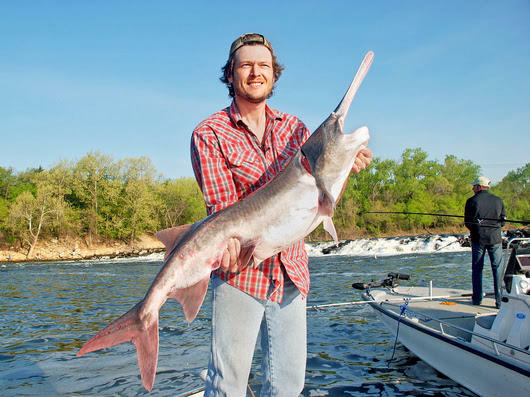 "Healthy fish and wildlife, and the opportunities to get outdoors, make Oklahoma a special place to live. "I'm honored to be selected to serve on the Foundation and can't wait to help further conservation efforts here in our great state." Shelton, who grew up hunting and fishing in Oklahoma, has been a longtime supporter of the Wildlife Department. One of the stars of the hit TV show “The Voice” was asked if he would become an honorary director, but Shelton instead said he wanted to be fully involved as an active and voting member of the Foundation’s board. Shelton’s home away from Hollywood and the concert circuit is his ranch near Tishomingo. The Commission also approved Raegen Siegfried as a new Foundation board member. He is vice president of HushWorks for The Nordam Group, a global aerospace manufacturing and repair company headquartered in Tulsa. Siegfried is enthusiastic about small business, entrepreneurship, education and wildlife conservation. Wildlife Commissioner James V. Barwick, also a Foundation board member, said the Foundation is accepting donations. In other business, the Wildlife Department’s Stars & Stripes Project received some much-needed reinforcement with two cash donations. The Central Oklahoma 89er Chapter of Quail Forever gave $5,000, and Oklahoma Trout Unlimited and Indian Nations Council of Trout Unlimited gave $3,000. The Stars & Stripes Project is a donor-funded program that gives hunting and fishing licenses to military veterans and select survivors of veterans who gave their lives in service to the country. The Wildlife Department receives no state-appropriated funding, so this project allows the Department to show appreciation to veterans while maintaining revenue that supports important wildlife conservation in the state. 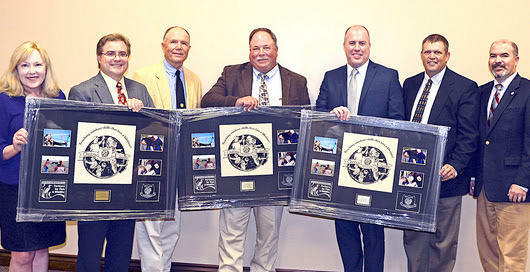 Also Tuesday, the Commission recognized the Partners for Fish and Wildlife Program of the U.S. Fish and Wildlife Service for its financial support of the Department's wildlife conservation efforts, including Outdoor Educationprograms including Oklahoma Archery in the Schools, Fishing in the Schools, Scholastic Shooting Sports Program and Hunter Education. Education Supervisor Colin Berg said the federal Partners program has contributed nearly $100,000 this fiscal year in support of educational efforts, including the launch of an urban Fishing in the Schools program. Partners also has contributed $115,000 for a shared biologist and project funding; $50,000 to the Department's Wildlife Habitat Improvement Program; $2,500 for the annual landowner's conservation calendar; and $185,955 for landowner agreements. Partners officials from state, regional and national offices attended Tuesday's meeting and were thanked by staff and Commissioners. Recognized Fred and Randi Wightman of Osage County as the Department’s 2018 Landowner Conservationists of the Year. Wildlife Regional Supervisor Jeff Pennington detailed how the Wightmans have transformed their Harrier Hills ranch to improve wildlife populations and habitat. Recognized Bill Newman, assistant manager of the Holdenville Fish Hatchery, as the 2017 Fisheries Division Professional of the Year award. Heard reports from Commissioners and staff who attended the recent annual conference of the Western Association of Fish and Wildlife Agencies. Department Director J.D. Strong was elected third vice president of WAFWA, and he told Commissioners that Oklahoma will be the host state for the WAFWA conference in 2022. 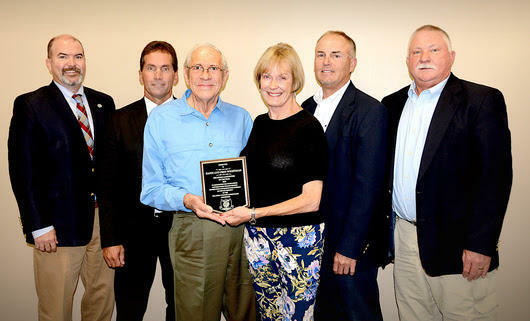 Recognized Wildlife Regional Supervisor Rod Smith for 40 years of service; Fisheries Regional Supervisor Bill Wentroth for 40 years of service; Wildlife Habitat Coordinator Kent Swanda for 40 years of service; and Fisheries Biologist Steve O’Donnell for 35 years of service. The next scheduled Commission meeting will be Monday, Nov. 5, 2018, in Oklahoma City.